WHAT ARE ART AND WINE EVENTS? With a wine glass in one hand and a paint brush in the other, you can finally let your inner artist out and create unique, beautiful paintings. Winnipeg Art and Wine is a Winnipeg owned company that offers unique entertainment events that couples paint lessons in a fun, relaxing and stress-free environment with a nice glass of wine or your favourite cocktail. Hosted at local bars and restaurants you can make this a night out with the girls, or a date-night, or even a night out with family or mom. Enjoy a glass of your favourite beverage, which helps the first time painters nerves, maybe a bite to eat and learn from a seasoned professional how to paint. With easy step by easy step instructions you will be guided into producing a masterpiece you will be proud to take home to hang on your wall. Then the night only gets better! We will also enjoy some music, play some games and give away prizes. It not your average night out! Worried about needing experience? Forget it! 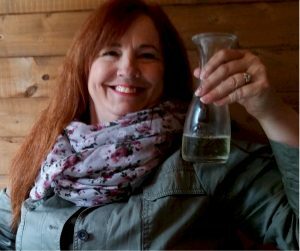 At Winnipeg Art and Wine it is all about relaxing, giggling, and having fun – there’s no experience necessary. For the beginner or the seasoned painter we offer paint classes that are just as fun for all. There’s really no way to go wrong. Check out our upcoming events so you can join the fun. It's as easy as one, two, three. Want to see a live Paint Party? Check out our Art & Wine video. We at Winnipeg Art and Wine are here to GUARANTEE you have a fabulous time at our Art and Wine Events. We are a highly qualified and rather fun loving company who wants to bring the love of art to all. We offer painting classes for the beginner, intermediate or advance artist. Along with a children's class we hope to get everyone involved in the new phenomenon of painting for pleasure in a FUN atmosphere. 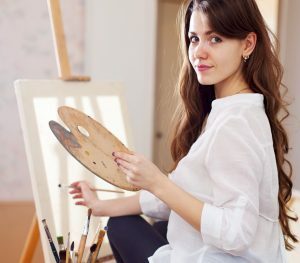 We also offer specialized art training for drawing, oil painting from beginner to advance levels. Something for everyone. If you want to get a group of your friends, family or co-workers together, for a unique, one of a kind party experience, then try our private parties and classes for your special event or fundraiser. We can make it an event they won't forget. Check out an event near you and see what all the fuss is about. Join us for the wine, but stay for the painting! might have that glass of wine! It is truly an event you won't forget! totally friendly environment. You will never look at painting the same again. Laughs will be had by all.